Forces TV, News 18 from India and the Craft Channel are set to become the latest recruits to the service, which offers online streaming of over 80 channels, the majority of which are available free-to-air. A go-live date hasn't been announced as yet. Forces TV first launched on satellite and cable in 2014, and is operated by SSVC, the organisation behind forces station BFBS, allowing viewers to keep up to date with the latest from the army, navy and air force communities. Shopping service Craft Channel launched last year and has been working on increasing its reach on various TV platforms. It's also been spotted obtaining a Freeview broadcast licence from Ofcom. New pay TV channels coming to the platform include children's channels Nickelodeon, Nick Jr and Nick Jr Too, alongside MTV, Comedy Central and Comedy Central Extra. TVPlayer offers a selection of premium channels as part of its Plus service. Placeholders for these channels were first spotted over a month ago. 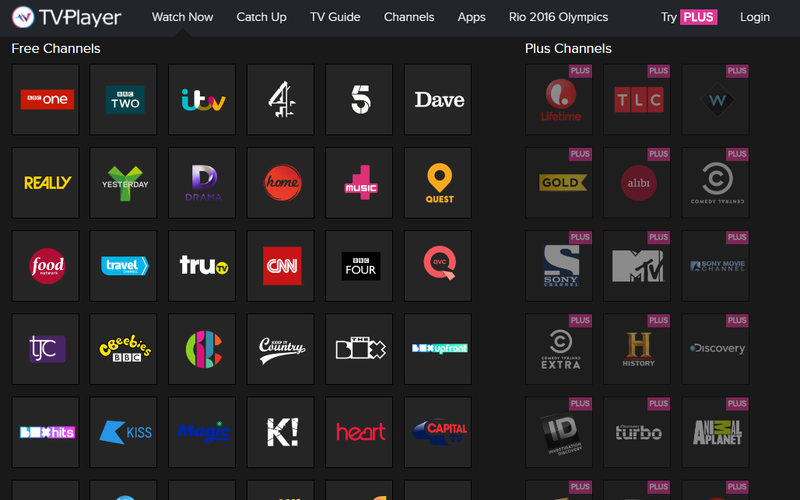 The Plus service already includes channels such as Discovery, Eurosport, Lifetime and Gold and is currently available for £4.99 a month. Fans of Brazilian TV can also access the TV service of one of Brazil's main broadcasters, Rede Globo. Globo has been quietly launched on the platform in recent weeks, where it is available as a standalone channel on a monthly subscription basis. Following a 1 month free trial period, Globo is available for £14.99 a month. On-demand/catch-up is available in addition to a live stream. TVPlayer is available online via TVPlayer.com, through mobile and tablet apps for all major operating systems, on a growing number of connected TV boxes and sticks including Amazon Fire TV and on some smart TV platforms. Due to licensing restrictions, the channel line-up varies on some platforms.